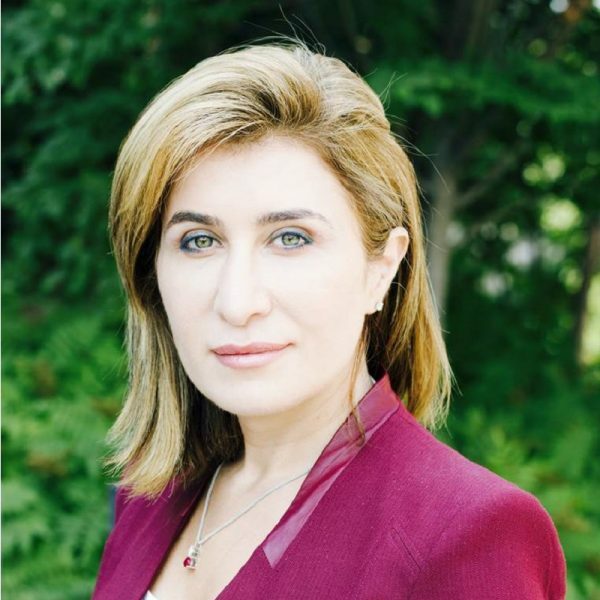 Dr. Bessma Momani is Professor in the Department of Political Science at the University of Waterloo and the Balsillie School of International Affairs in Waterloo, Canada. She is Senior Fellow at the Centre For International Governance and Innovation (CIGI), a non-resident Senior Fellow at the Brookings Doha Centre, a 2015 Fellow of the Pierre Elliott Trudeau Foundation, and a regular media analyst and contributor to national and international media on the Middle East and on global economic governance issues. The 6 Degrees Junior Fellowship Program brings ten young leaders from Canada and around the world to Toronto to attend the inaugural 6 Degrees. With the support of a grant and active mentorship, each 6 Degrees Junior Fellow will create an initiative related to inclusion and/or citizenship that impacts their own communities. Junior Fellows will actively participate in 6 Degrees in September 2016 by attending all sessions and events, and will remain connected to the ICC following the event as 6 Degrees Ambassadors. Florencia’s drive is to understand and design public interventions that are truly empowering and transformative. Right now, she is exploring how participatory forms of service provision can expand citizenship to informal communities for her masters thesis. Before starting the MSc Social Policy and Development at the London School of Economics, Florencia studied International Relations and Public Policy in Argentina. She worked with local governments in the evaluation of programs related to women’s health and the inclusion of informal entrepreneurs; and with NGOs in education projects. Other passions include shower singing, free-style dancing, and chocolate – in all its forms. Florencia’s initiative seeks to generate a participatory action research proposal that will understand the meaning and needs of citizenship in informal recyclers of Buenos Aires and co-design with them local and empowering waste management policies. Andrea Andersen is an Inuk female from Makkovik, Nunatsiavut. She is currently in the process of getting her licence to practice Physiotherapy. She is the youth executive for the National Association of Friendship Centres (NAFC). NAFC is a grassroots movement supporting urban indigenous peoples of Canada. The NAFC’s doors are open to all peoples of this country with a focus on youth, elders, prevention of violence against indigenous women, and culture revitalization. Andrea’s initiative is promoting youth engagement and language revitalization in Inuit communities across Labrador. Bronwyn Bragg is a scholar, researcher and facilitator based in western Canada. Her research draws on a participatory anti-oppression framework to explore questions of inclusion and belonging in Canadian cities. Bronwyn has extensive experience working in a community-based capacity with racialized immigrant communities in Calgary, Alberta. Her research has explored the educational experiences of refugee youth, the employment outcomes of immigrant women, the impact of restrictive family reunification policies on immigrant families and the challenges facing temporary foreign workers and caregivers in Alberta and Ontario. Bronwyn’s current research focuses on the integration trajectories of Syrian refugee families in Vancouver and Calgary. 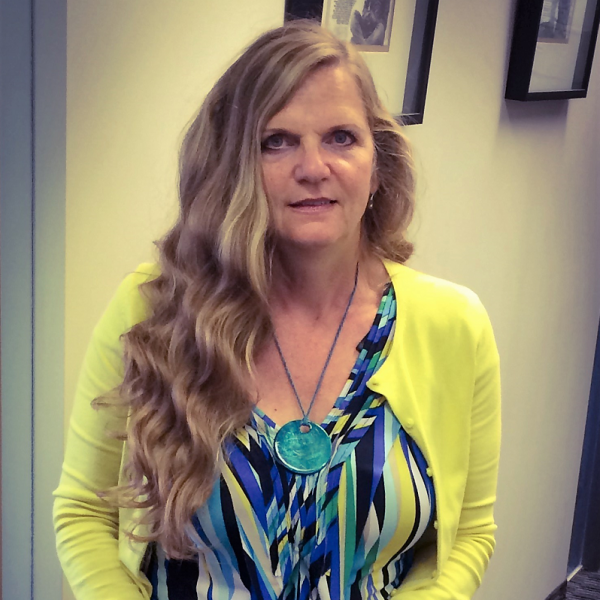 Bronwyn is a recipient of a Social Science and Humanities Research Council grant. She has a Master’s in Sociology and Equity Studies from the University of Toronto and is currently working on her PhD in human geography at the University of British Columbia. Bronwyn’s initiative will explore the early resettlement experiences of Syrian refugees in Calgary and Vancouver. Asad Chishti is an inventor at Chairs and Tables where they build (metaphorical) furniture around themes such as happiness, home, health, and history. He is also a first-generation immigrant who finds his life inextricably linked to navigating topics such as inclusion, migration, identity, culture, belonging, and citizenship. 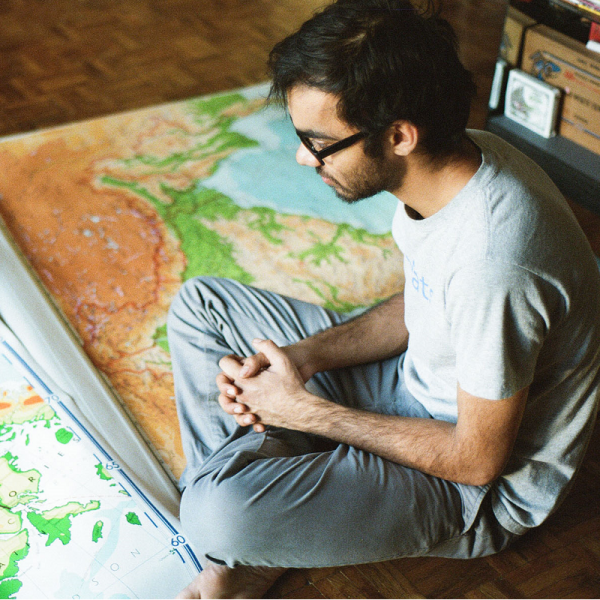 Asad’s initiative is building a digital map of Canada to add some context to the where and when of this place and time we call home. Gracia Dyer Jalea is the founder of the Toronto Ward Museum, a non-profit dedicated to telling stories of migration to Toronto. The museum seeks to create space for local residents to co-create, lead and deliver the museum’s programming. To date the museum has 15 institutional partners and has recently launched a series of pilot projects. 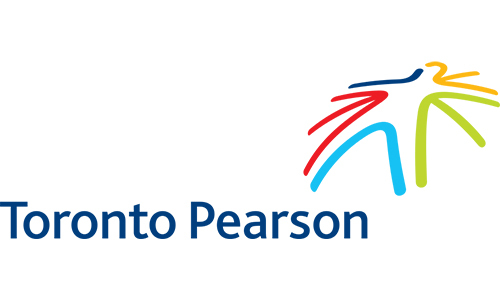 Prior to the Museum, Gracia was the Programming Director for Friends of the Pan Am Path, working on the city’s largest Host City Showcase project for the Pan Am/Parapan Am Games. 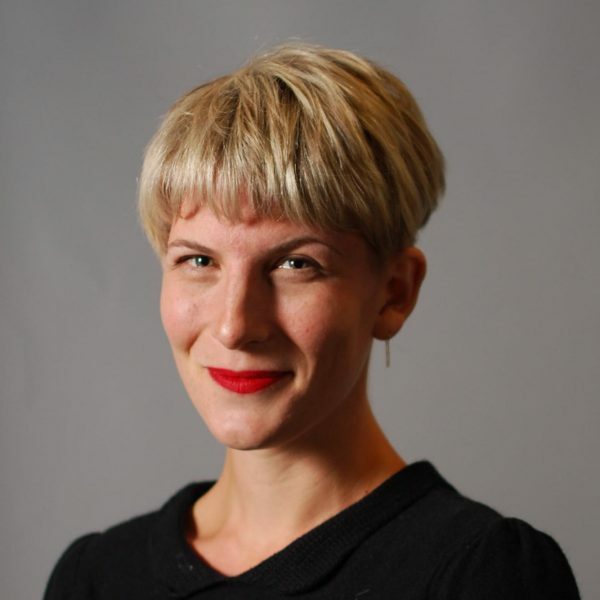 Prior to the Games, she worked for the Montreal Life Stories Project, and co-authored Mapping Memories: Participatory Media, Placed-Based Stories and Refugee Youth. In 2012 she produced the project’s Rencontres, a series of 48 events that took place throughout the city to disseminate the life stories of newcomers and refugees to Quebec. Gracia holds a BA in Cultural Studies and World Religions from McGill University and a MA in Media Studies from Concordia University. Gracia’s initiative, Pathways to Toronto, is an existing digital platform that shares stories of migration to Toronto and asks users to contemplate the impact of movement on identity, citizenship and belonging. Taras Dzyubanskyy holds a B.A. in Philosophy and has studied at various papal institutes in the Vatican. In 2012, through the prestigious Russell Berrie Fellowship, he obtained his PhD in Theology and Interreligious Dialogue. 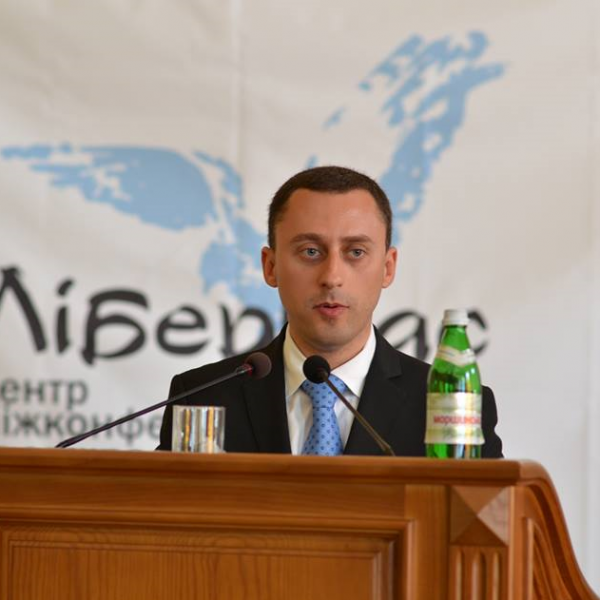 Since October 2012, Taras has been working as an adviser to the mayor of Lviv for religious issues. In May 2013, he inaugurated an interfaith center “Libertas.” He is now an adviser to the President of the Lviv Chamber of Commerce and Industry on social issues. Since the beginning of the armed conflicts in the east of Ukraine, Dzyubanskyy initiated a number of programs specifically related to the issue of migrants and internal refugees. In the fall of 2015, he participated in the United Nations Alliance of Civilizations Fellowship in Intercultural and Dialogue, visiting Middle East and North African countries. The author of three books, Taras is strongly committed to promoting interfaith and intercultural dialogue. Taras’ initiative will promote social inclusion and responsible citizenship by preparing young professionals in CSR to hire internal refugees and migrants. 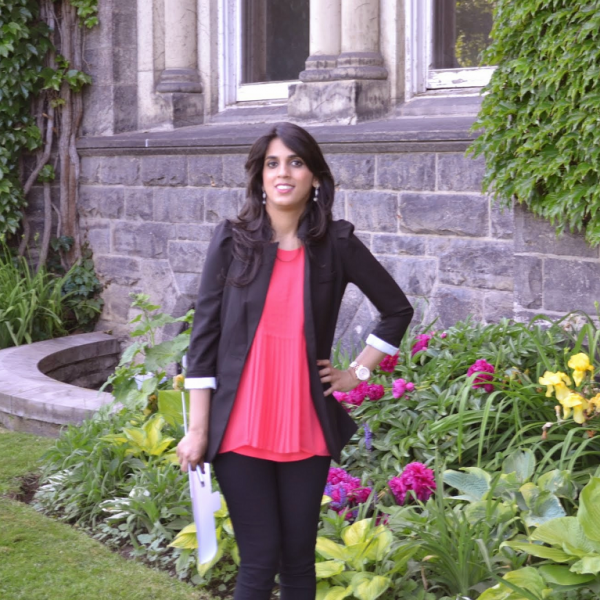 Munaza Gulzar is an educator and aspiring educational consultant. She completed her undergraduate degree in Economics and International Relations from the University of Toronto, ON in 2013. She has worked in the areas of library services, high school college guidance, graduate school student coordination and most recently, teaching at the international school in Karachi. Most notably, she spearheaded a student-exchange program between the Guanghua School of Management, China and the Karachi School of Business & Leadership, allowing students to proceed on a unique two-week leadership program in Beijing in June, 2015. In 2015, she founded Boundless Education: Consultancy, which offers advising to students and aims to address education challenges in the local community. She is passionate about social development, loves cooking and travelling and comes from Karachi, Pakistan. Munaza’s initiative is to build and sustain a public-access library in Karachi, which will also serve as a community space to foster social ties and a hub for workshops, programs, trainings in literacy, awareness and leadership. Michelle Hassler arrived in Canada on November 11, 2011, straight from Davao City, Philippines. She joined her Canadian husband Steve and his two children Davin and Kaylee. Michelle lives in a small town called Birch Hills, Saskatchewan, and travels each day to Prince Albert for work. She is the Assistant Executive Director of the Prince Albert Multicultural Council, a non-profit organization that helps and assists with settlement support and free English classes for newcomers and refugees in the Prince Albert area. Michelle enjoys the Saskatchewan prairie and loves the outdoors. She is happy to be a member of a family that loves summer camping, ice fishing, hunting, trapping, winter sports, and summer fishing. Michelle’s initiative is the Tapestrama Cultural Festival, a two-day event full of cultural food, dance, music, activities, customs and traditions. 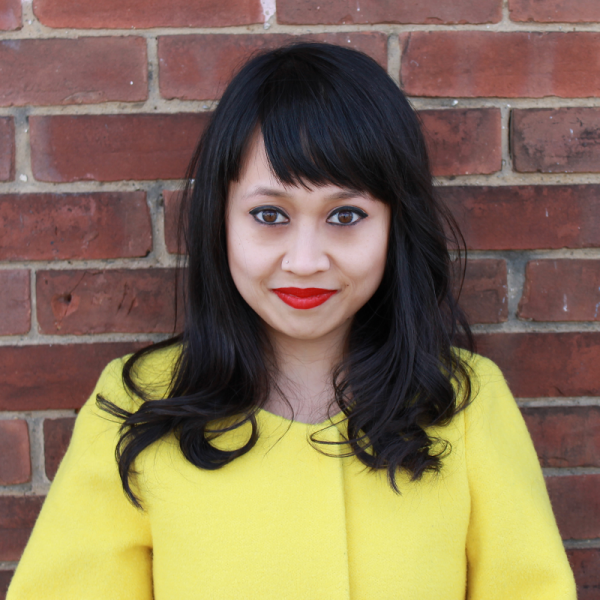 Tesicca Truong is a sustainability activist, a serial changemaker, and an engagement innovator. In high school, she kick-started Vancouver Youth4Tap, a city-wide movement to promote tap over bottled water and co-founded the Vancouver School Board Sustainability Conference. She has served on the Mayor’s Engaged City Task Force, the Simon Fraser Student Society, SFU Senate, and as board chair of Sustainable SFU. For her work, she was awarded both SFU President’s Leadership in Sustainability Award and Vancouver’s Greenest City Leadership Award in 2015. She is currently co-founding CityHive to build communities where youth fully participate in shaping and co-creating their cities. Tesicca’s initiative is CityHive, a youth-led organization empowering youth to influence, shape, and co-create their cities. Grace Williams is a student of Law, Economics and Philosophy at the University of Tasmania. 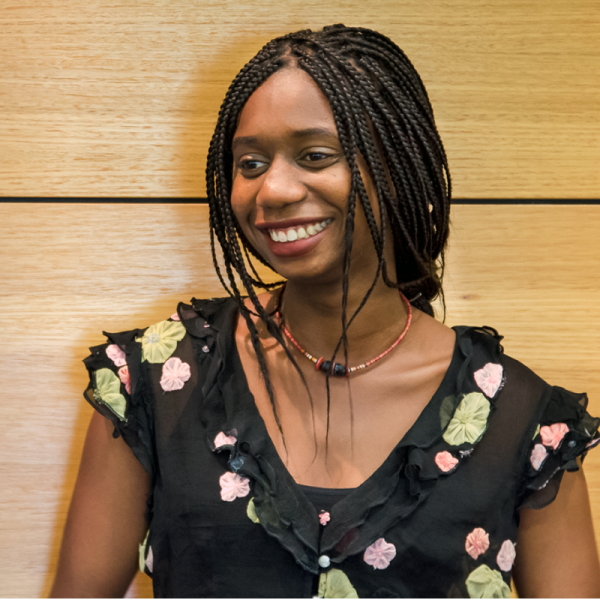 Born in Ghana, she has worked extensively with the Launceston Tasmanian community to encourage diversity and inclusion. Her work has involved developing workshops to aid newly arrived migrants to integrate into Australian society. Grace believes that individuals have the power to change the world. She hopes to challenge people and society as a whole to transform from a state of apathy and dare to be agents of positive change. This hope has motivated her passion for community building via volunteering and empowered her to advocate for the human rights of all people. Grace’s initiative is training professionals in the mental health and disability sector, to use assistance dogs for therapeutic purposes within Tasmanian communities. 6 Degrees will bring 20 national rapporteurs from the ICC network to Toronto – 10 from the Cultural Access Pass program and 10 from the Building Citizenship program – that will drive important discussions on-site and carry those ideas off-site, on behalf of the ICC. Rapporteurs will be tasked with reporting on their experiences. Each report will be published and shared online. Tom is originally from Kenya. Before coming to Canada in 2010, he spent 7 years in Tanzania where he attended high school, and 2 years in Malawi, where he volunteered at a private school. In 2011, he was offered a job at Michelin North America. He worked at the Waterville plant for 4 years before deciding to go back to Nova Scotia Community College (NSCC) in 2014, where he enrolled in the Mechanical Engineering Technology program. 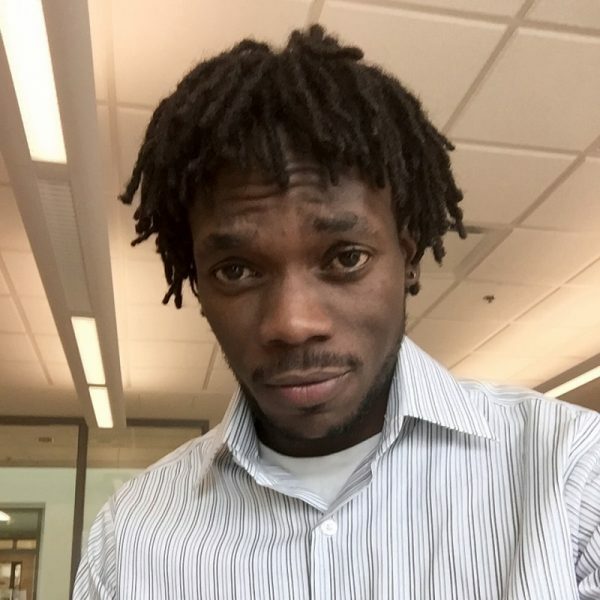 During his second year at NSCC, he received an award for the best senio project in his class. Tom has a son who is turning 7 next month. Tom is currently enrolled in the Mechanical Engineering degree program at the University of New Brunswick, starting in September 2016. In his free time he loves to play soccer and visit new places. 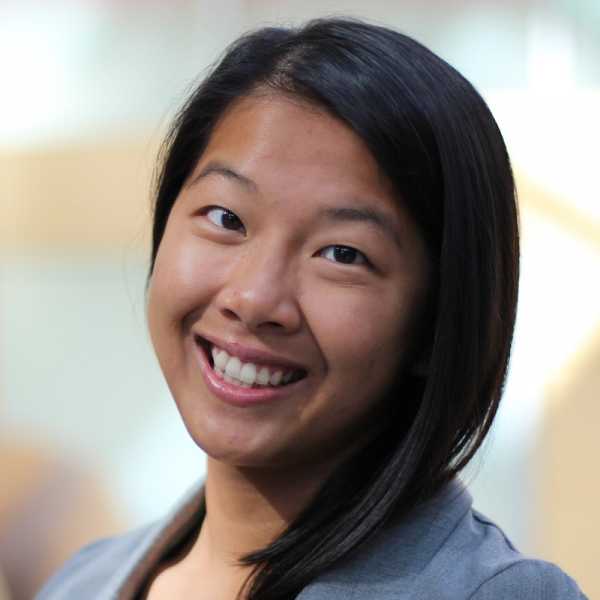 Jessica Wong is a New Canadian Engagement Program Support Officer with Parks Canada. Her work focuses on creating and developing programs to engage immigrants, new citizens and diverse urban audiences. With the ICC, Jessica works on the Cultural Access Pass program and more recently, has been helping to organize citizenship ceremonies in national parks and national historic sites. 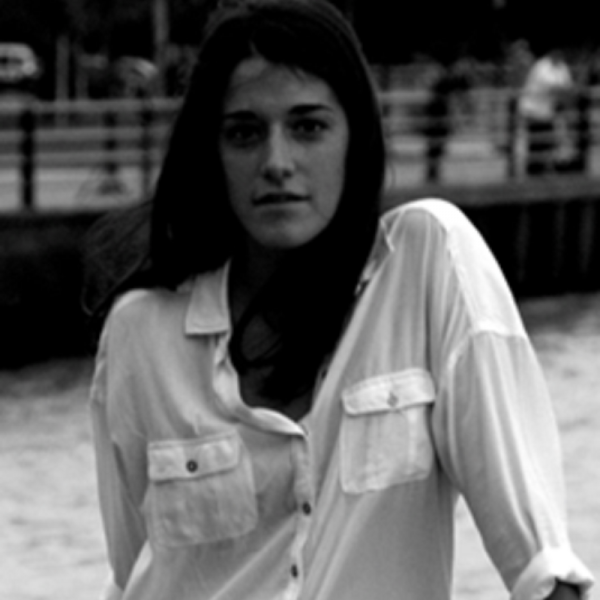 She is from Vancouver, BC and studied journalism at Carleton University in Ottawa. Previously, she has worked in urban outreach at the Vancouver Aquarium, as a TV reporter in Rwanda, and an interpretive guide at Vimy Ridge in France. 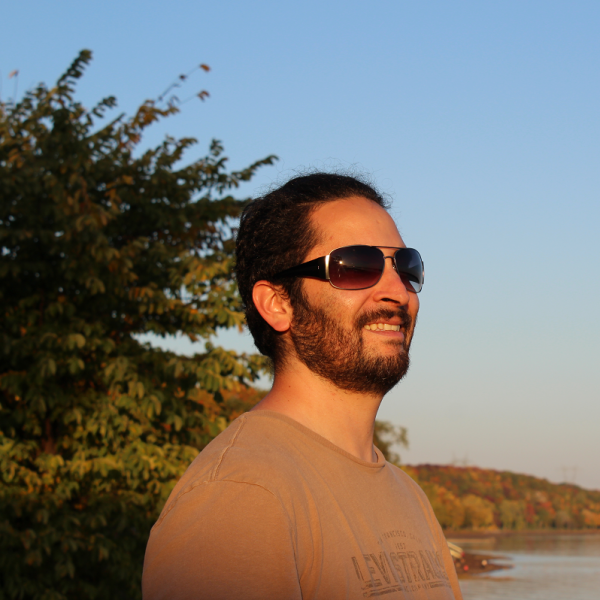 Born and raised in Cairo, Egypt, Tarek was the first of his family to immigrate to Canada in 2010. Having always been fascinated by languages and cultures, Canada’s cultural diversity has had a tremendous impact on his life. This diversity has pushed him out of his comfort zone to visit and experience as many countries as he can, and even inspiring him to start learn Japanese as his fourth language. Having first moved to Toronto, his career aspirations later led him to Edmonton where he obtained his MA in Economics. He now resides in Ottawa where he has been taking on increasingly challenging roles within the federal government, and has earned the title of “world’s okayest skier“ among his peers. Zahra Premji is about to start a new chapter of her life as an academic librarian at the University of Calgary. Unbeknownst to her, this path towards librarianship started in high school; when she was part of a team that developed a mobile library for a nearby hospital. Zahra spent the first 17 years of her life in Mombasa, Kenya before moving to Canada. She completed her BSc and PhD in Chemistry at the University of Calgary from 2002 to 2013. 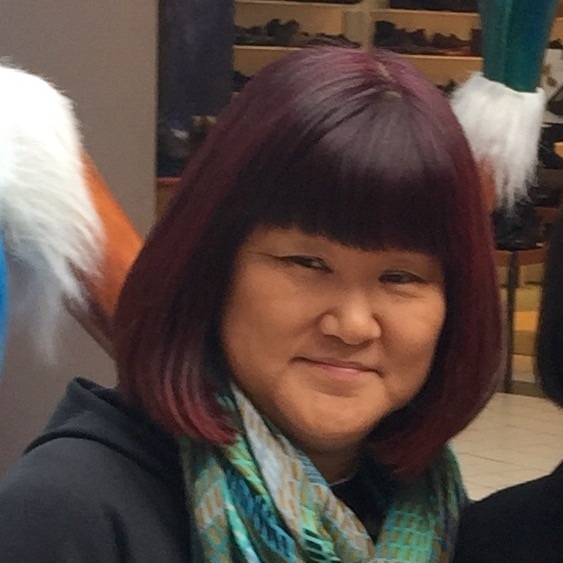 Upon realizing that she enjoyed the library environment and wanted to be in an instructional role, she pursued the Master of Library and Information Studies program at the University of Alberta, and completed it in 2016. In her new role, she plans to participate in institutional initiatives that promote inclusion and break down cultural barriers. Zahra resides in Calgary with her husband, who she married in an underwater ceremony in the Bahamas, surrounded by dozens of sharks. In her free time, she likes to travel, play board games and cheer on her favourite hockey team, the Calgary Flames. 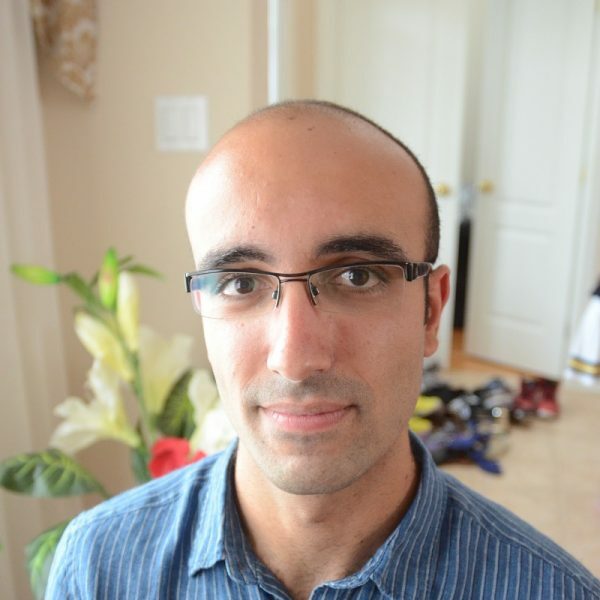 Alireza Ahmadian is a volunteer with the Institute for Canadian Citizenship’s chapter in Vancouver, British Columbia. He has a Bachelor of Arts in History from University of British Columbia, and a Master of Arts in International Studies and Diplomacy from the School of Oriental and African Studies – University of London. He has written on social, cultural, and political issues for a number of media outlets including BBC, New Canadian Media, and Foreign Policy Blogs. He has also appeared on BBC TV and Radio to discuss international affairs. He has volunteered for organizations such as Amnesty International Canada, Vancouver Asian Heritage Month Society, and Canadian Kidney Foundation. 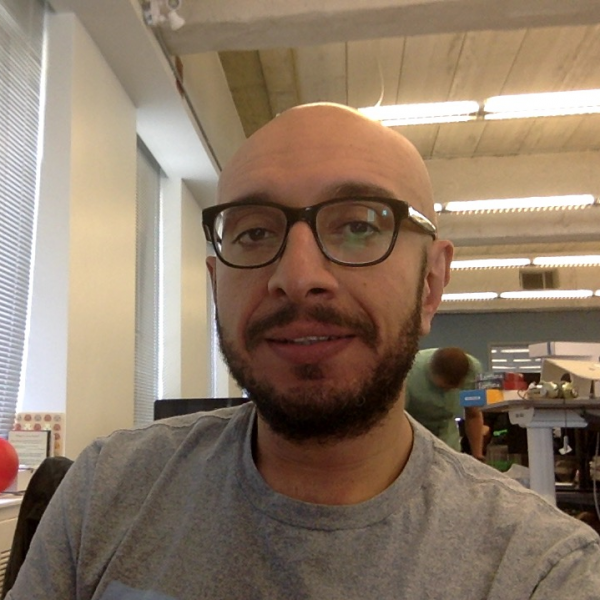 Izzat is a software developer for a cool startup in downtown Toronto. After work, he enjoys biking, discovering new places in and outside Toronto, and he really believes in a work/life balance. He came to Canada in 2011 looking to start a new live. In the last 5 years he has realized that he has become really attached to this country, and feels that he belongs here. His dream is to one day start his own IT company, and he feels that Toronto is the right place to do so. 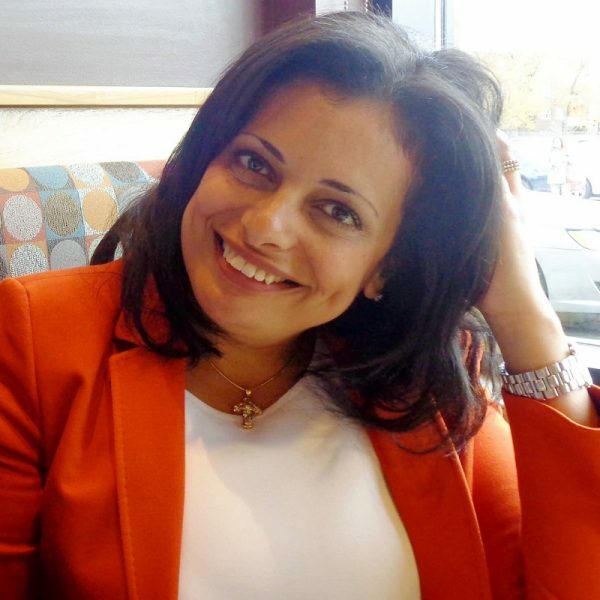 Marian Iskander is a Senior Human Resources (HR) Professional working in Toronto. Her work focuses on people growth, leading HR strategic plans, leadership development, employment strategies, performance management and building human structures. Marian also held a number of senior HR positions at international and local organizations prior to immigrating to Canada in 2009. She has worked in different cities around the world including London, U.K., Dubai, U.A.E., and Cairo, Egypt. Marian volunteers with organizations across Toronto in areas such as diversity and inclusion, career development and leadership. Marian’s passion is in areas of change management, organizational behaviour, mentoring and coaching. Marian holds an Executive MBA degree from Rotman School of Management at University of Toronto. She holds a Bachelor Degree in English Literature. Marian also completed various Executive Certificates/Diplomas from SDA Bocconi School of Management in Italy, Celemi International Institute in Sweden, Society of HR Management in USA, and the American University in Egypt. 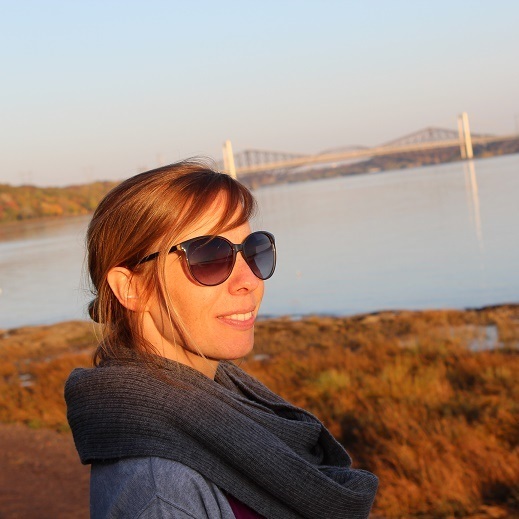 Originally from France, Ariane came to Canada four years ago and currently lives in Quebec City. Since she was a teenager she has been passionate about other cultures, and started to travel abroad at an early age. Ariane holds a Bachelor in Hispanic Studies and Communications. In the past 12 years, she has worked in Ireland, Spain, and Mexico. 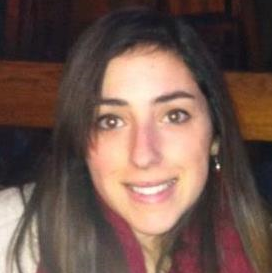 Ariane currently works for the Desjardins Group in marketing. Ariane believes that getting to know other cultures is a way of broadening our minds and becoming more tolerant. She believes multiculturalism brings great richness to our societies when we learn how to build bridges between one another. In her free time, she loves to visit new places, practice yoga, and go to the cinema. Joëlle is an avid human rights and gender rights advocate. She attained a law degree from the University of Ottawa. Since then, she has worked abroad in various capacities with NGOs to promote women’s rights. 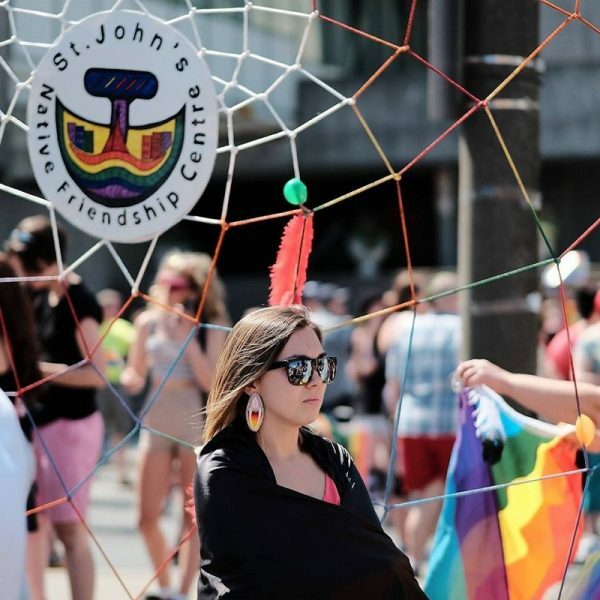 Most recently, at the Canadian Museum for Human Rights, Joëlle developed creative and thought provoking education programs and public programs teaching thousands of visitors about gender identity, gender equality and social justice. Joëlle believes inclusion and respect are key concepts of citizenship. She embraces multiculturalism and celebrates her passion for other cultures. April Sora studied Human Geography and Education at the University of Toronto and presently lives in Saskatoon, Saskatchewan. She has spent the better part of her career working and volunteering in the immigrant and refugee sector both in Toronto and Saskatoon. She has also worked for the federal government in various roles including Senior Development Officer, Human Resources Advisor and Employment Equity Consultant. She now works for the City of Saskatoon as the Immigration, Diversity and Inclusion Consultant and believes she has found her professional home here. April is a third generation Japanese-Canadian whose parents were both interned during WWII despite having been born in Canada. She is very proud of where she comes from and grateful to her parents for their strength, determination and courage to thrive through such adversity. Every Monday and Friday nights you can find April practicing taiko (Japanese drumming) with the Saskatoon group, Living Sky Taiko. Krista Perrey is the Coordinator of the Employment Mentors Program at Abbotsford Community Services where she connects newcomers to Canada with professionals of similar vocational or skilled backgrounds for guidance and advice in accessing the Canadian labour market. In 2014, she spearheaded a small social enterprise, Delish Catering, to assist lower skilled/lower language level clientele in gaining valuable workplace experience. She is also a Committee Member for the Cultural Diversity Awards, an annual event that recognizes businesses, organizations and initiatives for their best practices in promoting inclusion and diversity in the Fraser Valley. Krista holds a Masters Degree in Sociology from the University of Victoria. She is currently the Secretary for the Institute for Canadian Citizenship Fraser Valley Committee. David is originally from Mexico. He moved to the province of Quebec in 2012 with his wife, and they became Canadian citizens last December. As a newcomer, he had to adapt to his new environment by learning the language and studying to be able to work in his profession. It has been a challenging road but four years later, Canada feels like home to him and he is proud to say that he can work as a massage therapist, which is what he had been doing for over 15 years in his home country. Through his profession, he loves meeting people from different environments. It makes him realize we are all unique, but we also have a lot in common. David enjoys hobbies such as photography and travelling. He finds it fascinating that every place has something different to offer. Shirley Edwards is an immigrant from the UK who arrived in Calgary in 2008 and received her citizenship in 2014. She began volunteering for the ICC< and attended her first citizenship ceremony as a volunteer immediately after her own ceremony. Shirley is passionate about supporting immigrants to settle in Canada and enabling them to become full members of Canadian society and communities. Her full-time role as Regional Manager for Bredin Centre for Learning and Bredin College enables her to support new Canadians to gain language and occupational skills in order to find meaningful employment in Calgary. 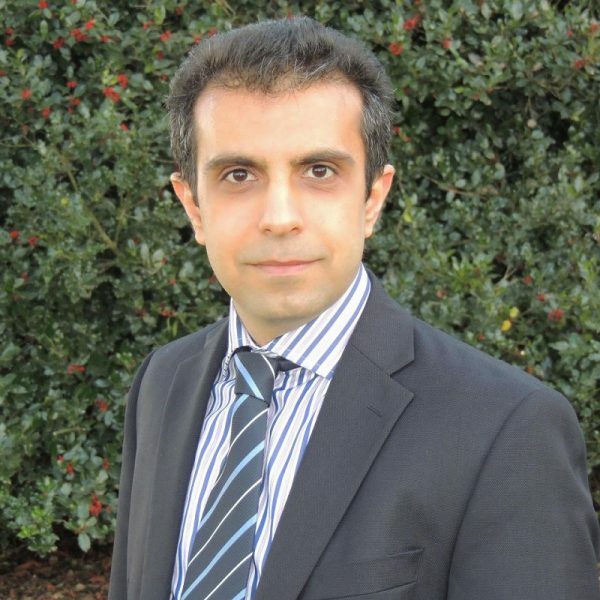 Mourad is an IT consultant and SME in the Contact Centre industry, spanning different cities and countries. 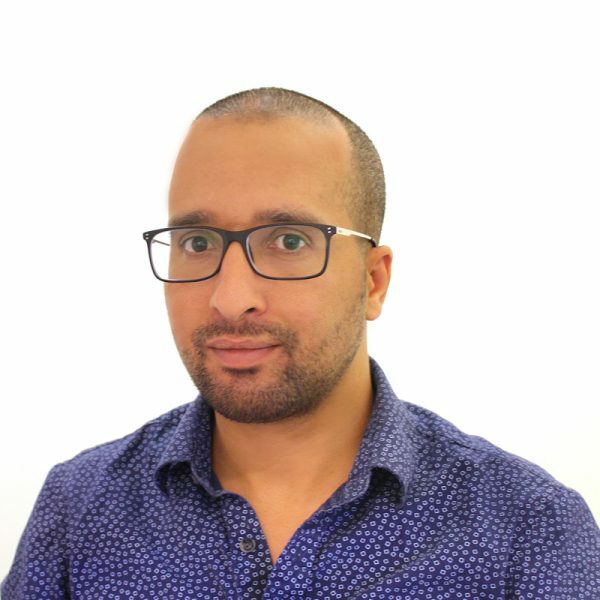 In the last years, he has increasingly been involved as a SME and a technical lead of requirements, design, development and deployment teams. Mourad is multidisciplinary with an eye for innovation and perfection. He considers himself a risk taker, and has worked with a wide range of financial, insurance, telecommunications, and government clients. His wish is to combine his knowledge and experience to help and deliver the best creative IT solutions. Mourad graduated from University of Quebec at Montreal (UQAM). He speak three languages and has lived in three different continents. He moved from Montreal to Toronto few months ago to get his first English-speaking job experience. He has a strong desire to work on volunteer activities and social services. Raymond was born in Cameroon and immigrated to Canada from the United Kingdom in January 2012. He became a Canadian citizen in October 2015. He has just completed his Master of Entrepreneurship and Innovation (MEI) degree from Queen’s Smith School of Business, Kingston, Ontario where he gained expertise in entrepreneurship, social and corporate innovation. Raymond graduated honors from the University of Buea with a bachelor’s degree in Sociology and Anthropology and merit from Swansea University with a master’s degree in Social Development and Communication. Raymond previously worked for the Royal Bank of Canada and volunteered in the office of former federal Member of Parliament Isabelle Morin in the Lachine-Dorval-Notre-Dame-de-Grâce riding. 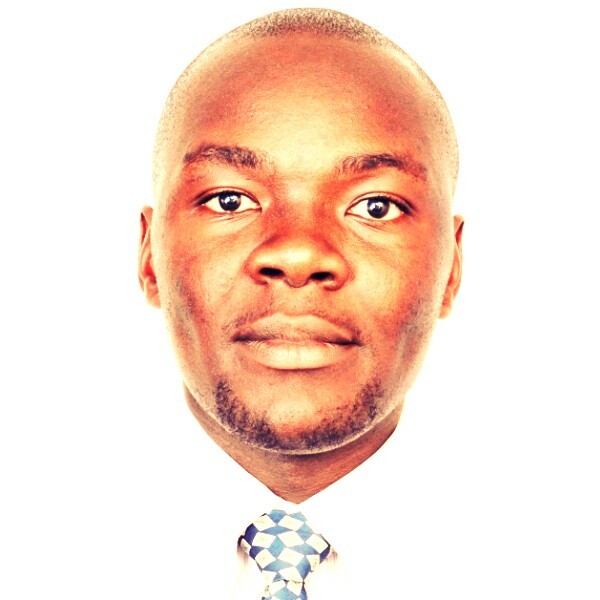 He is passionate about issues pertaining to active citizenship, progressive integration, and inclusion. He volunteers in his local Church leading the men’s fellowship, managing outreach projects, and assisting with accounting functions. He currently lives in Montreal with his family. Christina holds a Master’s in Public History from Carleton University. She is an avid learner who is always seeking new ways to deepen and enrich her understanding of Canada’s history. She has a wealth of experience in museum education, acquired through her work in numerous historical sites and cultural institutions in Canada such as the Canadian Museum for Human Rights. She currently works for the Library of Parliament as an Interpretation Officer helping to teach Canada’s democratic process to visitors. Throughout her career, Christina has provided thousands of visitors with the opportunity to reflect on the meaning of citizenship by developing engaging and thoughtful programs. 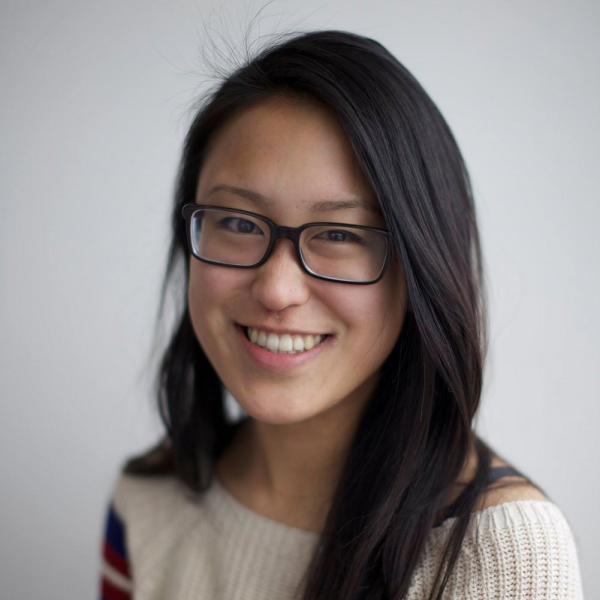 Julie Yu has a passion for working with newcomers in the multicultural and diversity sector. 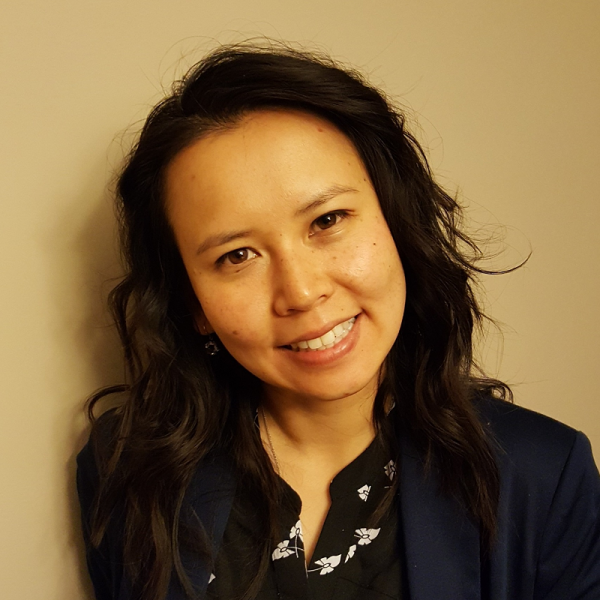 Currently in the position of strategic communications with Immigrant Access Fund Canada, she works on communication and outreach efforts in Saskatchewan. Her academic background includes researching immigration policy, multiculturalism and rural ethnic business structures. 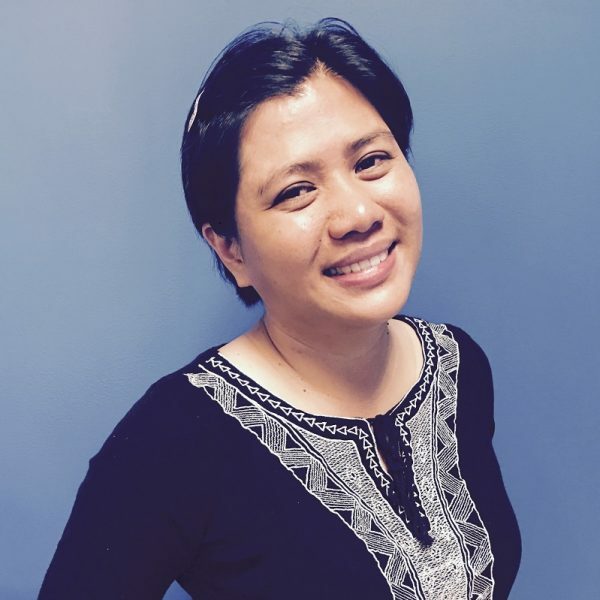 Julie is active in her community and contributes her spare time towards volunteering at immigrant serving agencies and sitting on several committees that support multicultural initiatives. 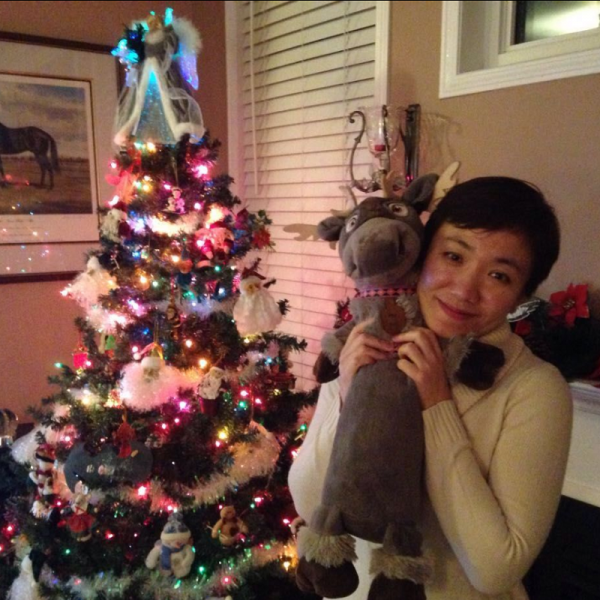 Agnes Liu came to Canada in 2006. As an immigrant, she does all she can to adapt to the new country, new environment and new culture. She enjoys the freedom, natural beauties and unlimited opportunities that Canada is offering. After her graduation with high honor from the Law Clerk program at Seneca, she became a law clerk in a medium-sized downtown law firm, where she is applying her skills, diligence and passion to provide quality legal services. In addition to work, she is actively participating in Toastmasters and is currently the VP of Education in her home club. She is always driven by her passion to inspire and empower. In her spare time, she is currently working with a partner to bring the advanced coaching and training concepts and methodologies in leadership, to Jamaica, and to contribute to the transformation of the island. 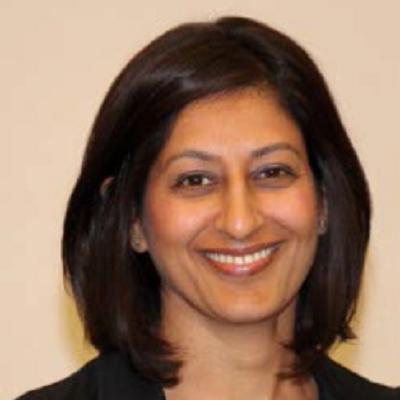 Salima serves as Senior Manager, Programmes- Ismaili Centres with the Aga Khan Council for Canada. 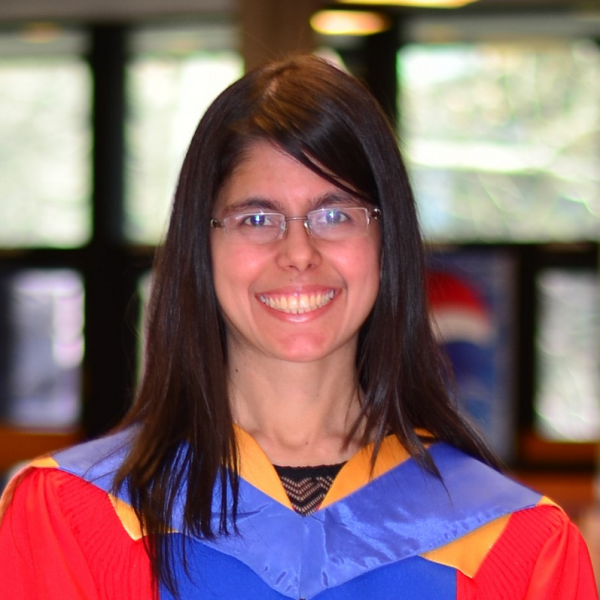 She holds a Master of Public Health and a Master of Social Work from the University of Toronto and a Bachelor of Social Work from the University of British Columbia. 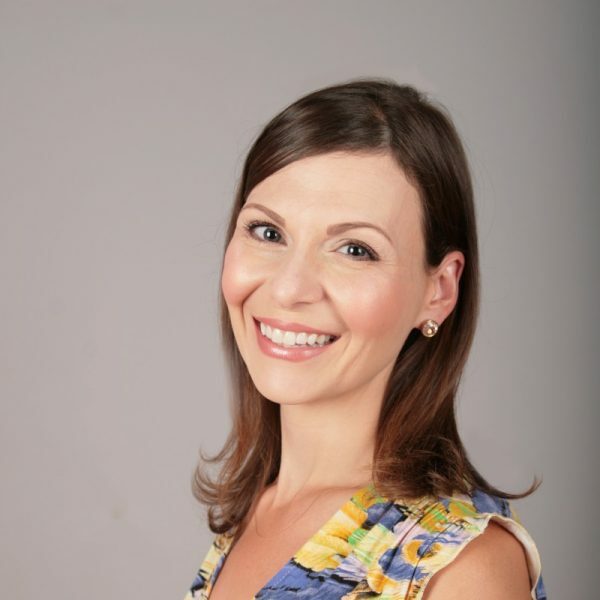 She has over fifteen years of experience in programming planning and implementation, monitoring and evaluation in the not-for-profit sector, including a long tenure with the Aga Khan Development Network where she held positions with Aga Khan Foundation, Focus Canada, and Aga Khan University’s School of Nursing. Her work has taken her to Syria, Pakistan and East Africa. Suzette Martin-Johnson has lived in various places including Jamaica, the UK, Guyana, the Dominican Republic, and Martinique. She finally settled in Calgary in 2009. With a BSc in International Relations, an MA in Public Sector Management, and a PhD in Migration and Diaspora Studies, she has taken numerous foreign language and translation courses. She works with French school in Calgary on a part-time basis and has 15 years’ translation experience as a freelancer and with international governmental organizations including the World Bank and the Caribbean Community. 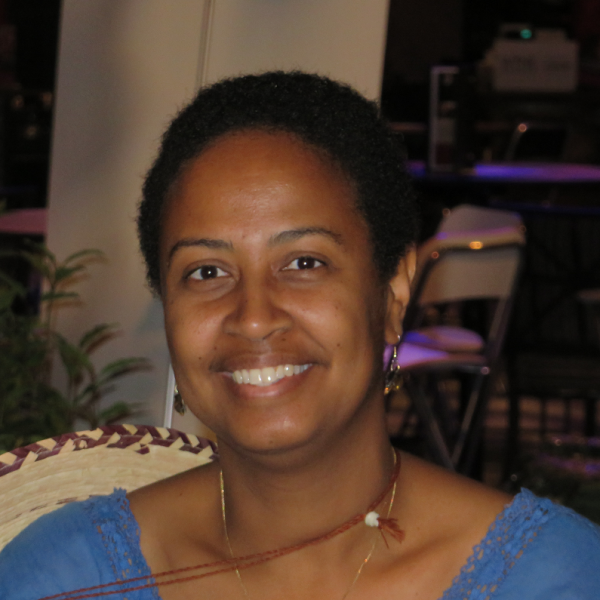 Suzette also enjoys writing and editing and is really happy to be a Jamaican Canadian mom.